Our charity provides printed copies of these DL size leaflets free of cost to hospitals in Scotland so they can be included in the appointment letter. Please Contact Us if you would like to us to send you copies. Please select any of the images below to download the corresponding PDF leaflet. Also see our related videos Injection with medication, Blood test, Infusion with medication and Anxious about blood test. Also see our related videos Pulmonary Function (Breathing) Test and Cardio Pulmonary Exercise Test (CPET). Also see our related video Breathing mask (NIV), CPAP or BiPAP. Also see our related videos Cerebral Palsy Physiotherapy and CP Botulinum toxin. Also see our related video Club foot treatment. Also see our related videos MAG3 Renal Scan (Nuclear Medicine) and Renal Scan (Nuclear Medicine). 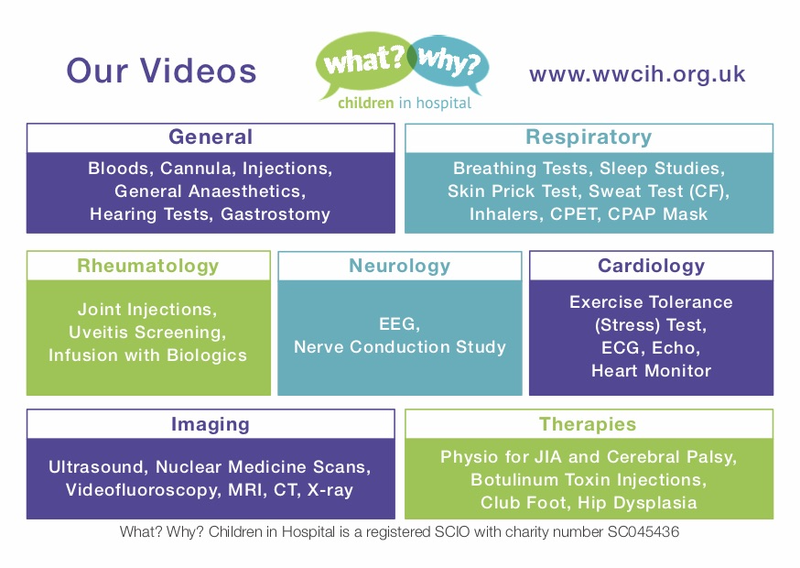 Also see our related videos Echo for children, ECG for children and Play to prepare for an ECG. Also see our related videos EEG for children, Nerve Conduction Study for children and Play to prepare for an EEG. Also see our related videos Exercise Tolerance Test (Stress Test) for children and Heart Monitor (Ambulatory ECG). Also see our related video General Aneasthetics. Also see our related videos Hearing Screen for newborn babies, Hearing Test for children and Hearing Test for babies. Also see our related video Hip check and hip harness babies. Also see our related video Inhaler asthma. 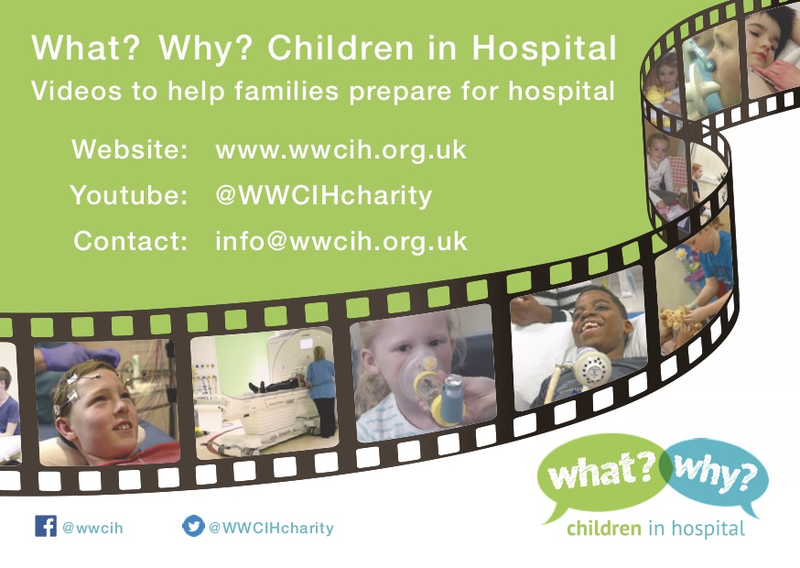 Also see our related videos MRI for children, CT Scan for children, Play to prepare for an MRI and Play to prepare for a CT scan. Also see our related videos Sleep Study (Polysomnography) and Sleep Study (Cardio-Respiratory). Also see our related videos X-Ray for children, Ultrasound for children, Play to prepare for an X-ray and Play to Prepare for an Ultrasound. Also see our related videos Joint Injection (JIA), Physiotherapy Juvenile Arthritis and Uveitis eye check. If you have any questions about these leaflets or how best to use them please do not hesitate to Contact Us.